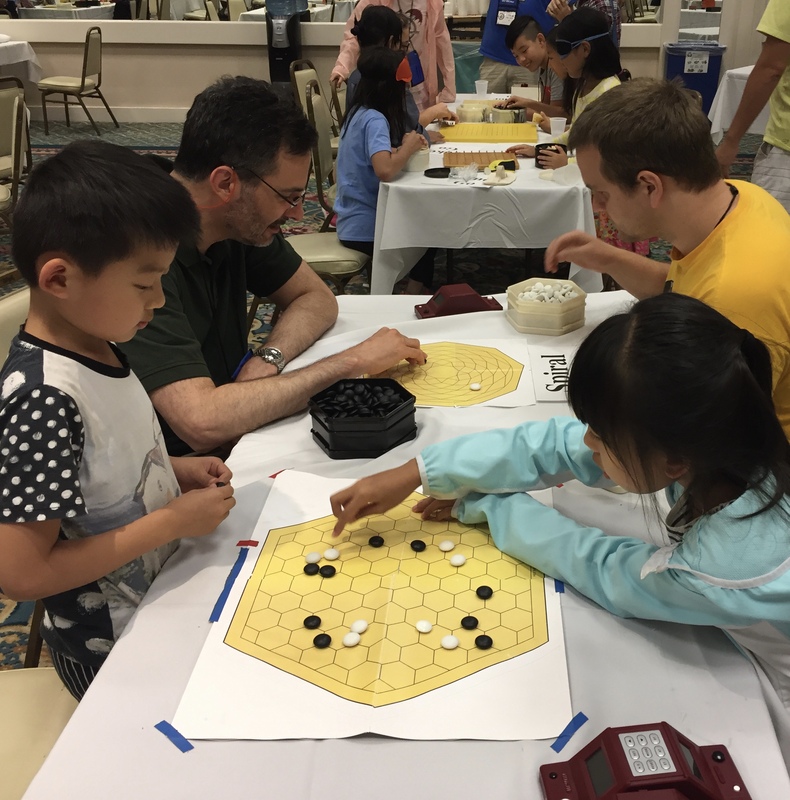 While other players relaxed and gave themselves a break from go on Wednesday, over 90 players decided they didn’t need a break and played four rounds in the Die Hard tournament yesterday. 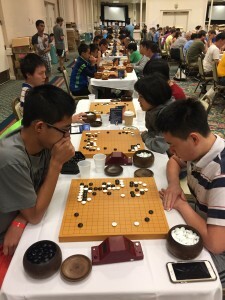 Five die hard go players went undefeated: Aaron Ye 7d, James Carrier 3k, James Funk 6k, Darwin Kim 8k, and Zongren Huang 20k. -photo (right): Die Hard go players concentrate on their games on Wednesday.